Raise your hand if anyone of you have ever use at least once Adobe Premiere? What was the version? It’s hard to believe that they are celebrating its 25th Anniversary. For the occasion, they are sharing with us some cool souvenirs to take us down the memory lane. Give it a look, you’ll get to watch of their first demo from Version 1. 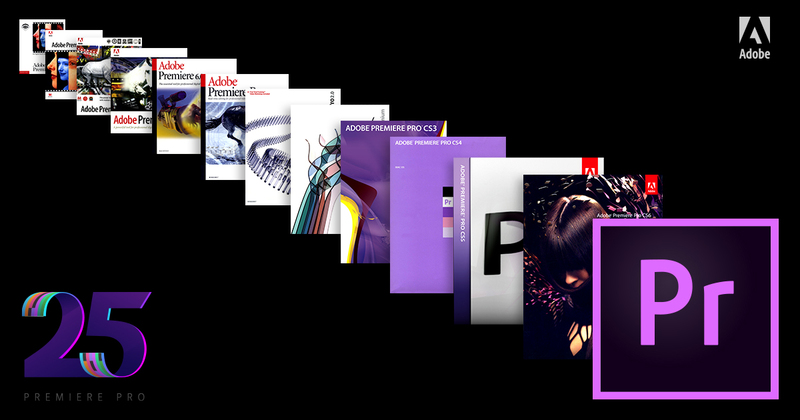 Happy 25th Adobe Premiere! From aspiring creators to broadcast and film professionals, Premiere Pro has helped editors deliver stunning video content, adapting over the years with significant features and changes driven by the needs of users. A global editing competition in partnership with Imagine Dragons and featuring a panel of video and entertainment industry luminaries. The competition is the first of its kind, granting fans access to a wide range of uncut footage from the official music video of Imagine Dragons’ hit song “Believer.” Using these clips and Premiere Pro, aspiring video creators and professionals alike can cut their own original version, and the winner can claim a grand prize of $25,000. Projects will be judged by notable names in editing and entertainment, including the band itself, Matt Eastin (director and editor of the Believer music video), two-time Academy Award winner Angus Wall (who edited films like Fight Club), and award-winning music video editor Vinnie Hobbs (who has worked with artists like Kendrick Lamar and Britney Spears). For more information, visit Make the Cut. Daily Design Inspiration AoiroStudio Mar 24, 2017 Part of the Daily Design Inspiration series that started it all on Abduzeedo….